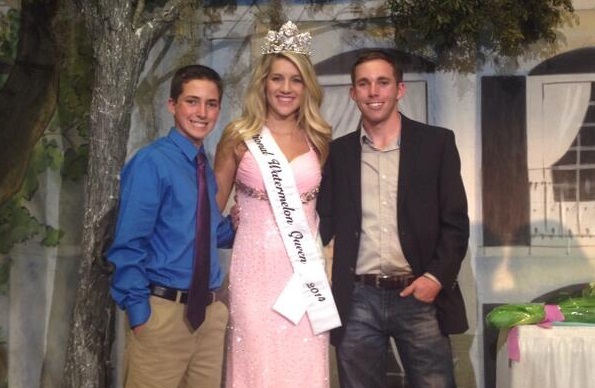 NATIONAL WATERMELON ASSOCIATION CONFERENCE CELEBRATES 100 YEARS (AND A NEW WATERMELON QUEEN!) - What About Watermelon? Each year, members of the National Watermelon Association (NWA) convene for the NWA’s annual convention. It’s a pretty big deal, and anyone who’s anyone in the watermelon industry is in attendance. This year’s convention, held in Savannah, Georgia, was especially significant because it marked the 100th anniversary of the NWA. In addition to lots of meetings and seminars about watermelon, the convention also features a watermelon seed-spitting contest, a watermelon eating contest, and the crowning of the new National Watermelon Queen (stay tuned for a blog entry with an interview with the new queen). In addition to the convention being the 100th anniversary of the NWA, it’s also the 25th anniversary of the National Watermelon Promotion Board and the 50th anniversary of the National Watermelon Queen program! The convention also includes an auction – with sports memorabilia and truckloads of watermelon among the items – which this year raised a record $632,260. The total will be used to fund a majority of the National Watermelon Association’s annual budget. 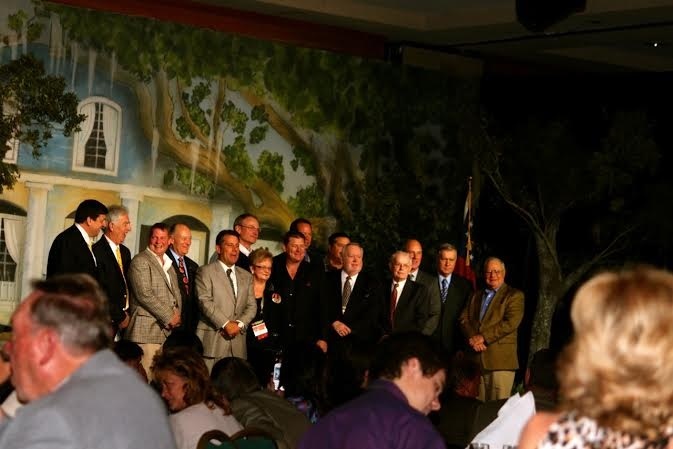 Because the convention marked the 100th anniversary of the National Watermelon Association, they took some time to recognize some of the many NWA presidents who have served over the past century. Like I mentioned, the various state and regional watermelon queens competed at the conference for the title of National Watermelon Queen, and the winner was Florida Watermelon Queen Brandi Harrison! Above is Brandi with NASCAR Camping World Truck Series driver Ross Chastain (right), whose #92 Ford is sponsored by watermelon. 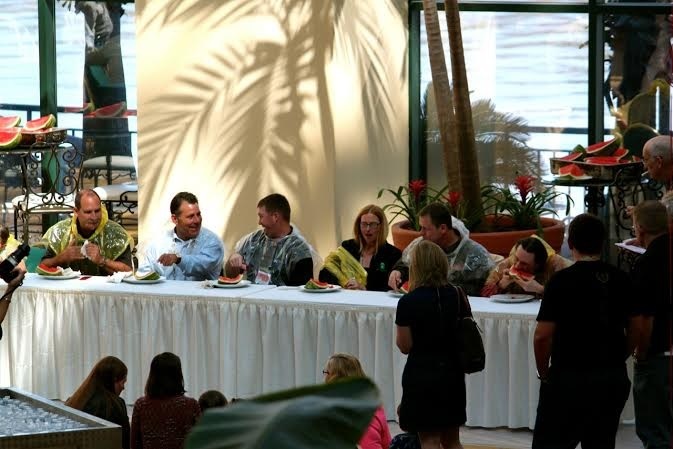 The convention hosted a friendly watermelon-eating contest. It’s nice to see that they provided the competitors with raincoat-like smocks to protect them during the messy contest. Somehow, I doubt smocks will be provided for the eating contest I’ll participate in later this summer.